Vacation Rentals are disrupting the way people find places to stay while travelling. The vacation rental industry is believed to be worth $100 billion and Research and Markets predicts the global Vacation Rentals market will close in on $170 billion by 2019. As a leading provider of full-service travel bookings, Expedia is constantly looking for opportunities to improve the breadth and depth of the products we offer. From a strategic standpoint, our ambition is to make vacation rentals a competitive advantage for Expedia group of brands by enabling people to find and book the best lodging for their trip. We are seeking a Software Development Engineer I for the Vacation Rentals Lodging engineering team to join us to have some fun ideating, building and rolling out the customer-centric features to help travelers discover, search, book and excited about their purchase at Expedia and stay at the accommodation. Our teams have flexibility to make the technology choices that best provide customer value to partners. As a member of the team, you will have the chance to contribute to these choices. As an example, most teams build RESTful services, typically with simple APIs using JSON. These are usually built on the JVM with Java but some pick Scala, Clojure and Kotlin. Some teams use node.js. Many teams are decomposing their services into microsystems to make things easier to maintain and continually deploy. When appropriate, teams build event-driven, streaming architectures and we also have teams working on front-end solutions, generally using React.js. Your team will be cloud-native or moving enthusiastically to AWS. We organize for feature velocity, so wherever appropriate, your teams will use AWS services like Lambda, Kinesis, ElastiCache, Aurora, DynamoDB and of course EC2, ECS and S3. To further help speed things up, you’ll look to build on top of open source systems and libraries like Redis, GRPC, Akka, Cassandra, and MongoDB. As a Software Engineer I you will translate requirements into code, complete programming, and perform testing and debugging, ensuring consistency to defined engineering processes. Propose improvements in design and processes. Provide improvements to solutions for a given problem. You will resolve problems and roadblocks as they occur with help from peers or managers. 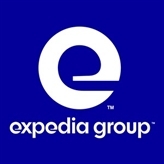 Software Dev Engineer I at Expedia, Inc.